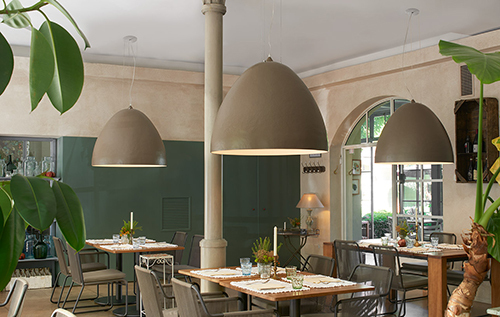 Plume is a hanging lamp made in fiberglass, ideal for contemporary and minimalist areas. The essential design of Plume is made richer by the contrast between the external side of the lamp, in different colours, and the light one of the inner side. Plume is light, resistant and thin: Plume creates a warm and friendly atmosphere in every kind of indoor.